Sections 199(2) and 199(4) CrPC provide an inbuilt safeguard which require the Public Prosecutor to scan and be satisfied with the materials on the basis of which a complaint for defamation is to be filed by him acting as the Public Prosecutor, the court said. A three-judge bench headed by Justice Ranjan Gogoi found that the allegedly defamatory statements made have no any reasonable connection with the discharge of public duties by the Chief Minister and there has been no scrutiny by him of the materials on which the prosecution under Section 199(2) and 199(4) CrPC was launched. The bench also comprising of Justice R Banumathi and Justice Mohan M Shantanagoudar was considering an appeal filed against a high court order that refused to quash criminal proceeding instituted under Section 199(2) of the Code of Criminal Procedure, 1973 alleging commission of offences under Sections 499 and 500 of the Indian Penal Code, 1860 against the Chief Minister of Madhya Pradesh. In this case, the complaint was filed by the Public Prosecutor on 24th June, 2014 before the District & Sessions Judge, Bhopal (Madhya Pradesh) after receipt of sanction from the Competent Authority of the State Government on the very same day i.e. 24th June, 2014. As the high court refused to interfere, the trial proceeded and resulted in conviction of the accused. His appeal before the high court is pending. 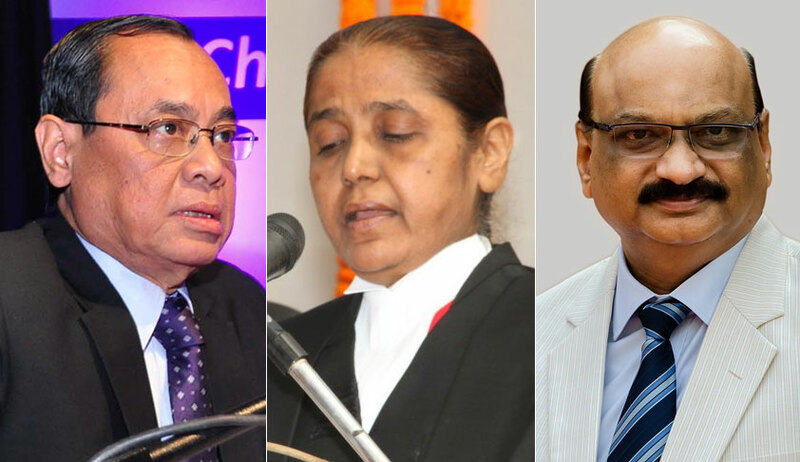 Perusing the allegedly defamatory statements made by the accused, the bench observed that none of the said statements, even if admitted to have been made, can be said to have any reasonable connection with the discharge of public duties by or the office of the Hon’ble Chief Minister. “The appointment of persons from the area/place to which the wife of the Hon’ble Chief Minister belongs and the making of phone calls by the relatives of the Hon’ble Chief Minister have no reasonable nexus with the discharge of public duties by or the office of the Hon’ble Chief Minister. Such statements may be defamatory but then in the absence of a nexus between the same and the discharge of public duties of the office, the remedy under Section 199(2) and 199(4) Cr.P.C. will not be available. It is the remedy saved by the provisions of sub-section (6) of Section 199 Cr.P.C. i.e. a complaint by the Hon’ble Chief Minister before the ordinary Court i.e. the Court of Magistrate which would be available and could have been resorted to,” the court said. The court, also referring to Subramanian Swamy vs. Union of India observed that Sections 199(2) and 199(4) CrPC provide an inbuilt safeguard which requires the public prosecutor to scan and be satisfied with the materials on the basis of which a complaint for defamation is to be filed by him acting as the Public Prosecutor. The court perused the cross-examination records, and observed that the Public Prosecutor had gone to the extent of admitting that he had filed the complaint against the accused on the orders of the state government and that he had admitted the absence of any scrutiny by him of the materials on which the prosecution is sought to be launched. The court then observed that very initiation of the prosecution is untenable in law and then invoked Article 142 of Constitution to quash the proceedings against the accused.